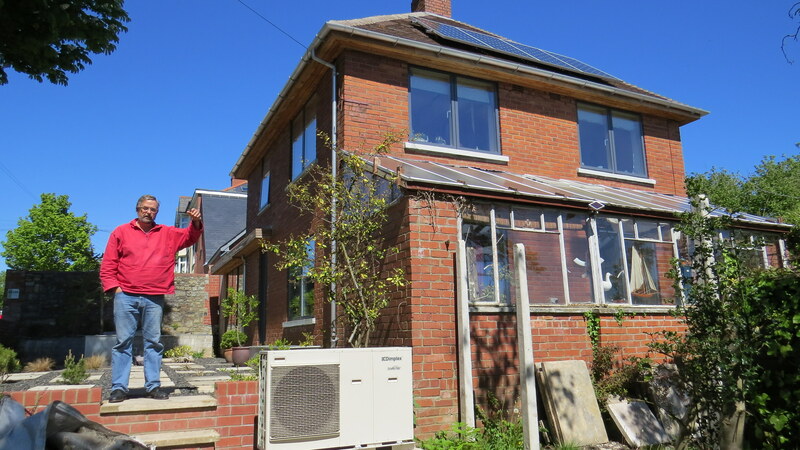 Nigel and Christine Humphrey, from Penarth in the Vale of Glamorgan, wanted to cut the cost of running their detached 1940s home without spending the sums required to reach Passive House standard. Instead Nigel, who runs his own architecture firm MAS Architecture, focused on heat loss, infiltration and controls, using all the grants available to install an efficient – and cost-effective - heating and distribution system in the home. Nigel Humphrey said: “It’s important to us that our home is comfortable, secure, and attractive, and we also want it to be energy efficient so that it costs less to run and we do our bit toward saving the planet. Nigel and Christine chose an air source heat pump because rocky ground on the site in Vale of Glamorgan, which is just 200 yards from the sea, would have made installation of a ground source heat pump far more difficult and costly. Renewable heating experts, Radiant Heating Solutions, specified and installed the system based on Nigel’s own heat loss calculations and opted for a Dimplex system. Nigel adds: “We aimed for the AECB Silver Standard, which is about a 70 per cent reduction on the 1995 Building Regulations, with one important difference; we allow ourselves to count imported energy as zero carbon, because it comes from 100% renewable sources, our PV panels and Good Energy. For more information on this case study click here.